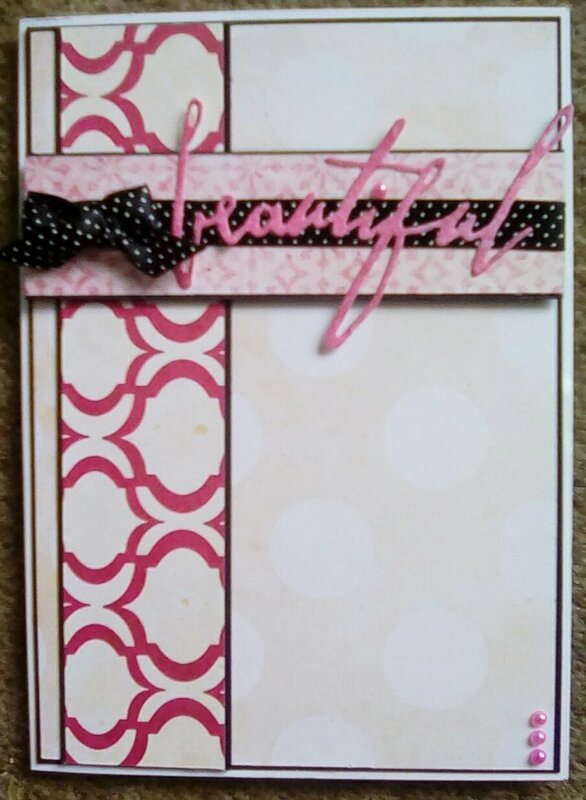 I was in the mood to foil on my Scan’n’Cut. 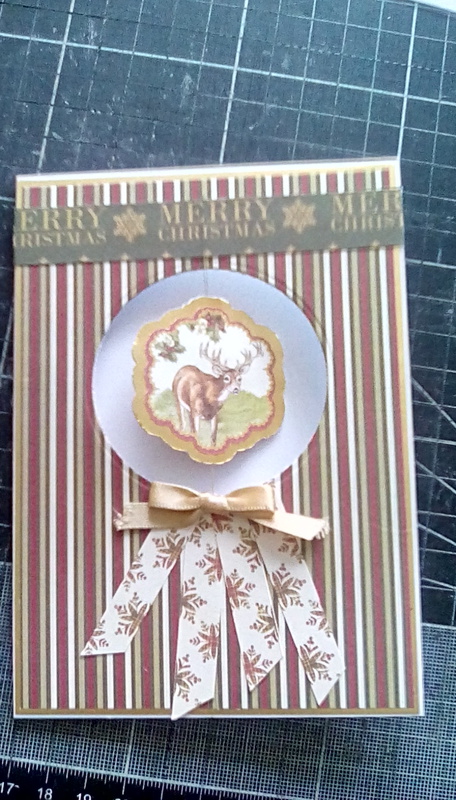 I wanted to make something using my favourite Disney range, and which was cheerful. First, I searched the internet for quotes I like from Winnie the Pooh. I chose ‘even the smallest person can make a big difference’. As somebody who is height challenged, it spoke to me. I used the Scan’n’Cut Canvas website to type my quote. I chose a simple font whivh would be easy to read. I wanted to emphasise smallest and big, so changed the sizes and the font of smallest. I made sure that the lines of text were centrally aligned. When I was happy, I used a USB to transfer the quote to my Scan’n’Cut. I foiled it, using a holographic foil, on black card. I wanted the quote to be the main focus on my card, so made it large. 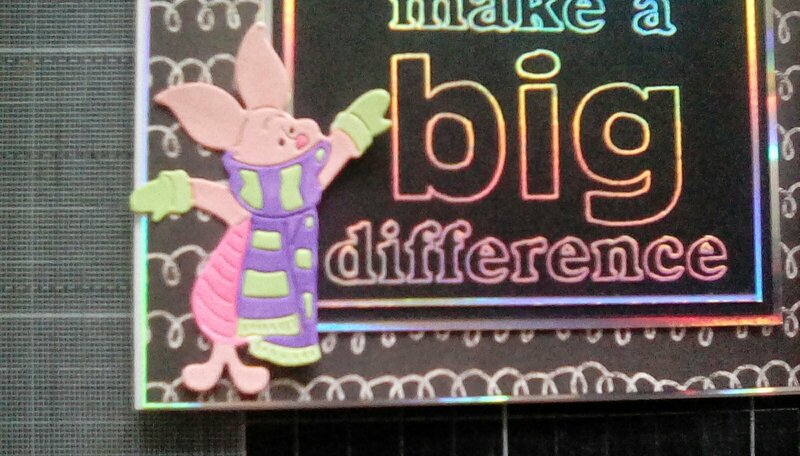 The quote seemed to suit Piglet, so I die cut a wintery Piglet from white card and used my Spectrum Noirs to colour him. 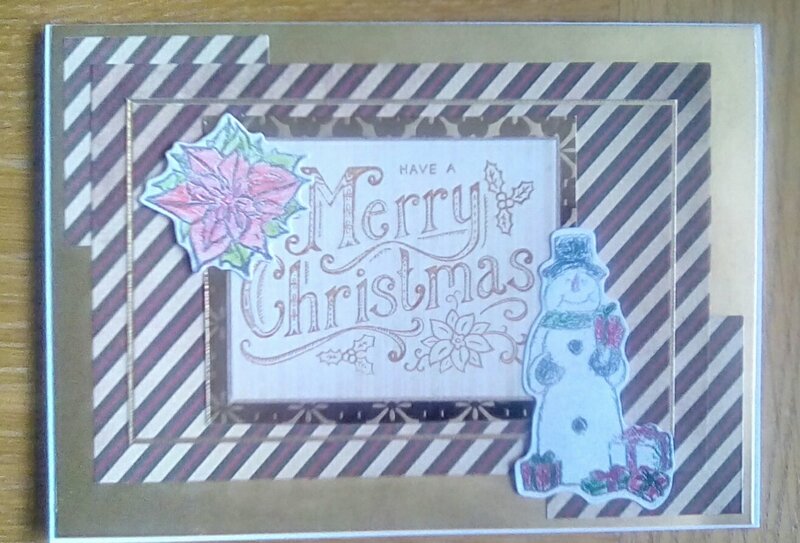 To construct the card, I matted and layered a piece of trimmed down paper from the Simply Creative Chalkboard range onto a piece of Kanban holographic cardstock. 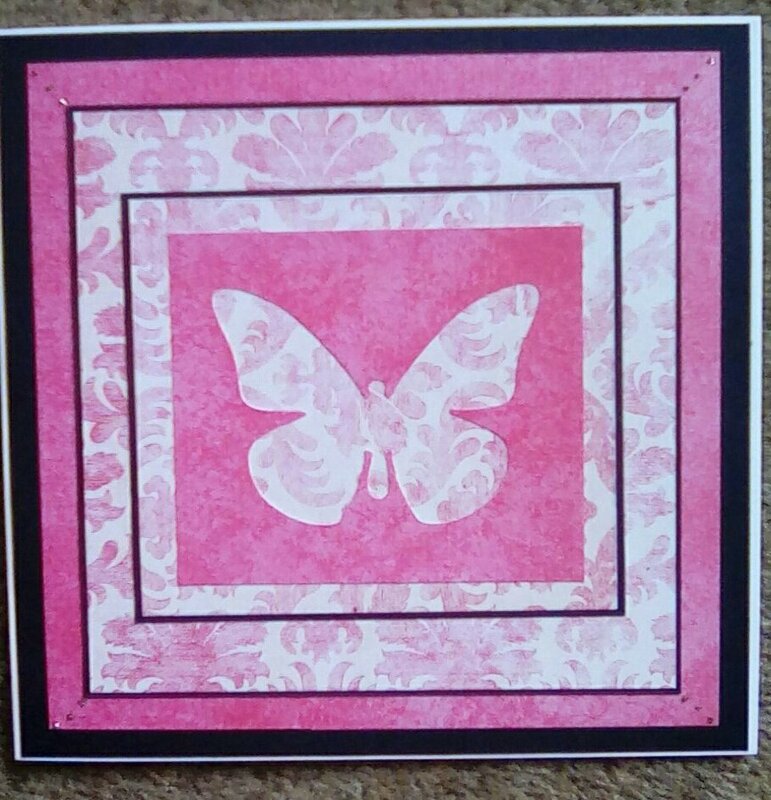 I matted and layered thee quote onto holographic catrd, black card, then holographic again and affixed this centrally on a square card blank. 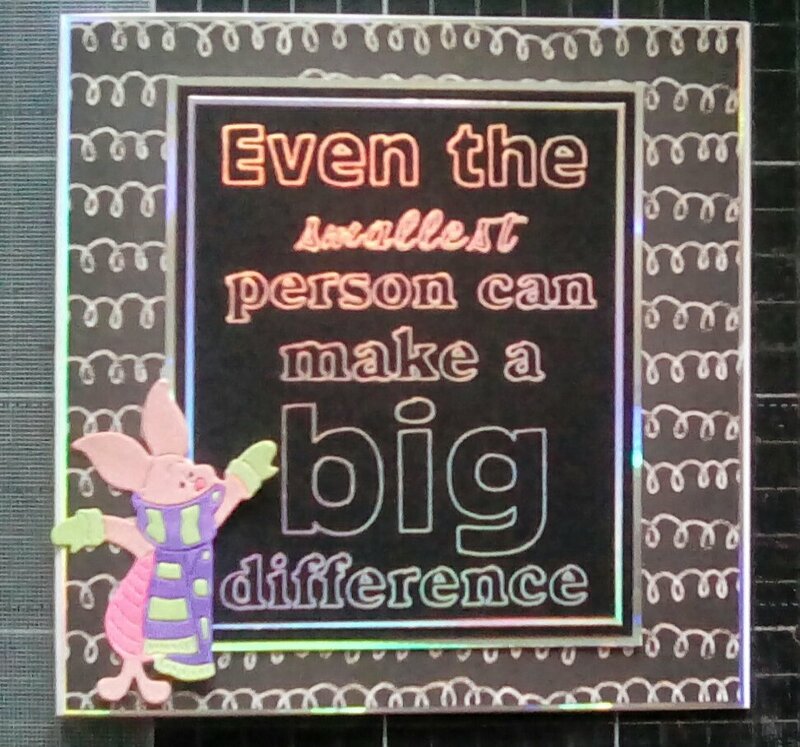 I attached Piglet in the bottom left hand corner, slightly overlapping the quote topper. 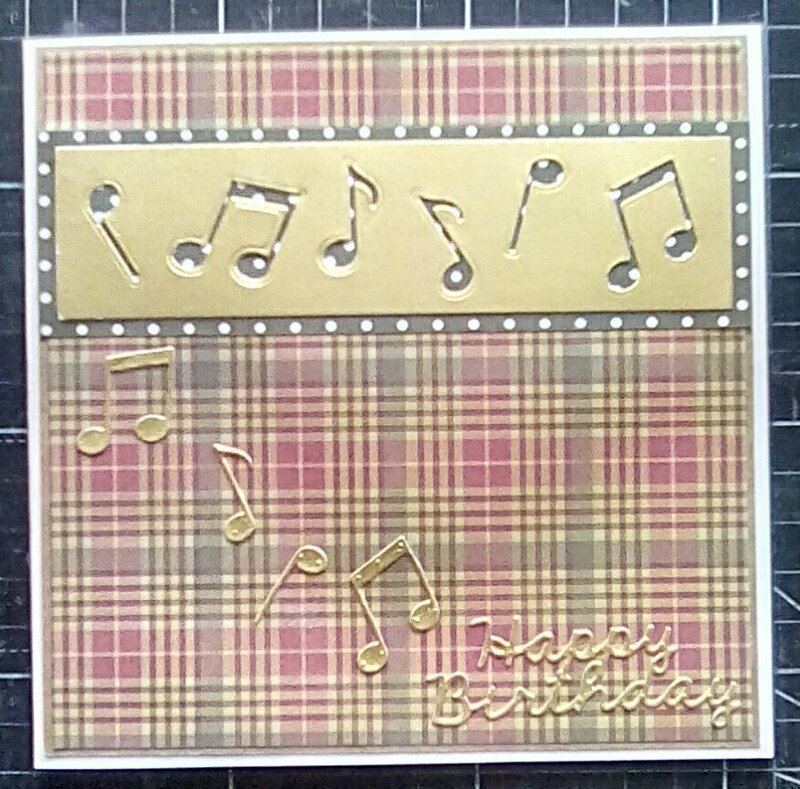 I decided against further embellishments as the card was already very shiny, and I like the simple layout. This entry was posted in Uncategorized on October 31, 2017 by Isn't She Crafty. Sorry for the delay in publishing this, WordPress has been reminding me for two weeks. I’ve just not felt up to getting photos sorted. We stayed at my mum’s house on Saturday night which was a nice treat (I got a cup of tea made for me when I got up!). I knew that I had a parcel from Create and Craft waiting at home, but wasn’t sure what, having been a bit overzealous recently with my credit card. I had a play on Pinterest before I went to sleep, looking at idea for the products it might be. When we got home, I resisted opening my parcel and fed the cat. Temptation loomed, but I put the washing in and put away the overnight bag, then armed with a cup of tea, I opened it. 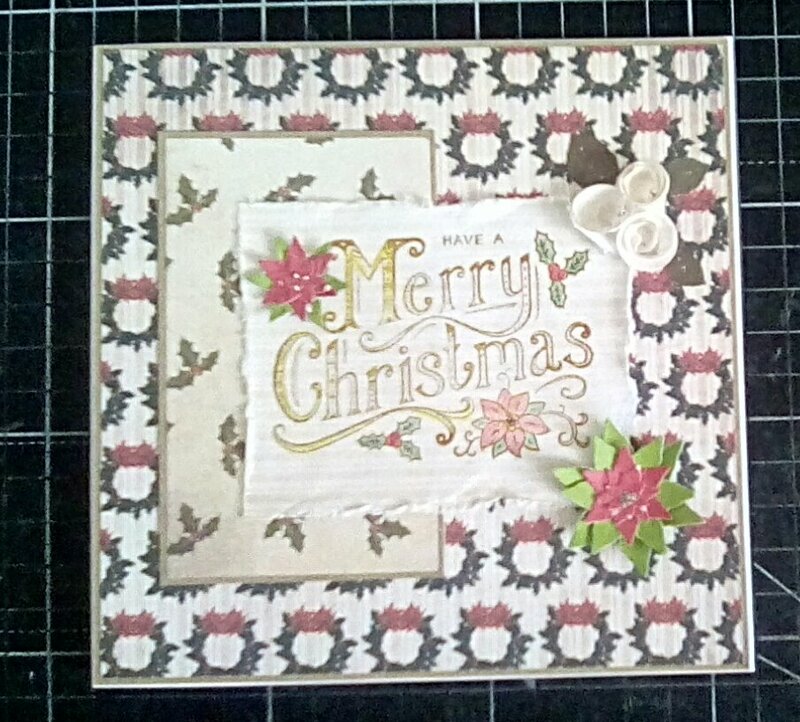 Today’s present was a 12×12 and an 8×8 paper pad called The Magic of Christmas by Dovecraft and a selection of 7 dies to complement it. 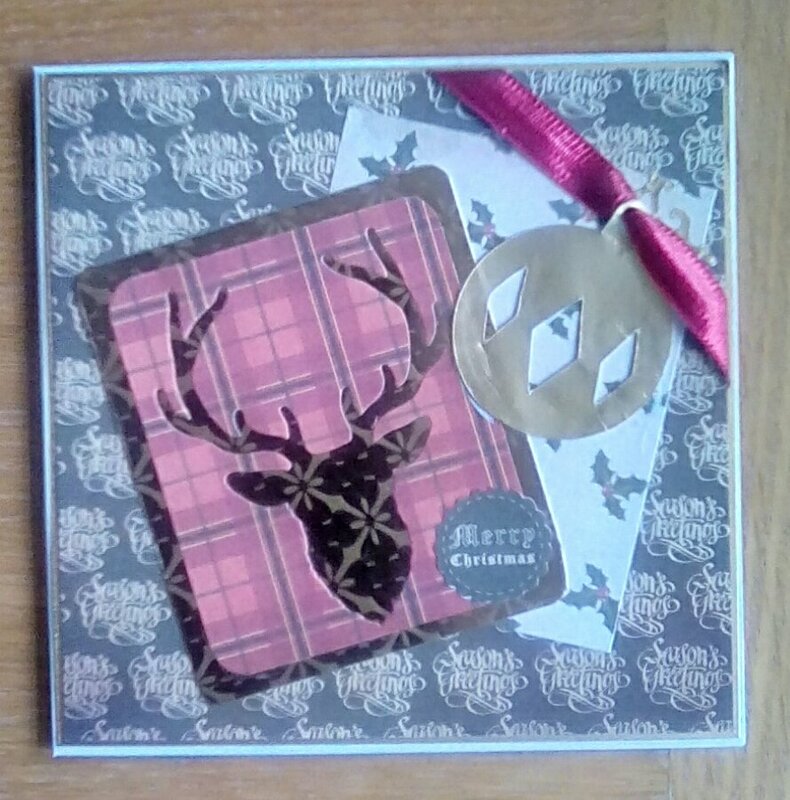 The papers are lovely traditional festive colours and imagery, including tartans, stags, Santas and snowflakes galore, and the dies include a stag, a snowflake, bells, music notes and a Noel sentiment. 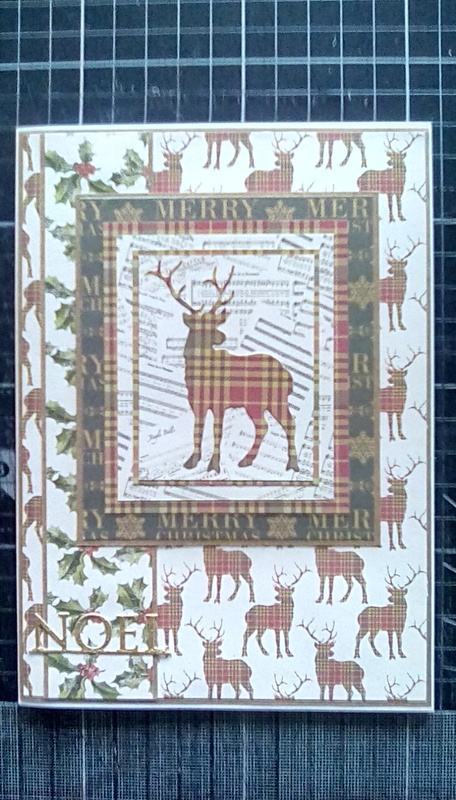 I had seen previews and temptations of this paper collection on Kathy Crafts TV’s blog and I thought they looked really warm and friendly, made me want mulled wine and a mince pie while I crafted. I usually like Trimcraft designs, and the quality is always excellent, so I was happy to buy as soon as I saw the price without watching any live demos which is really unusual for me. At first when I opened my parcel I opened the 8×8 paper pack and spread them over the living room floor. That’s normal if they’re not attached. I then sit and smell them, stroking the pages. His Lordship finds it very odd, and highly amusing, but hey. Inspiration refused to come. 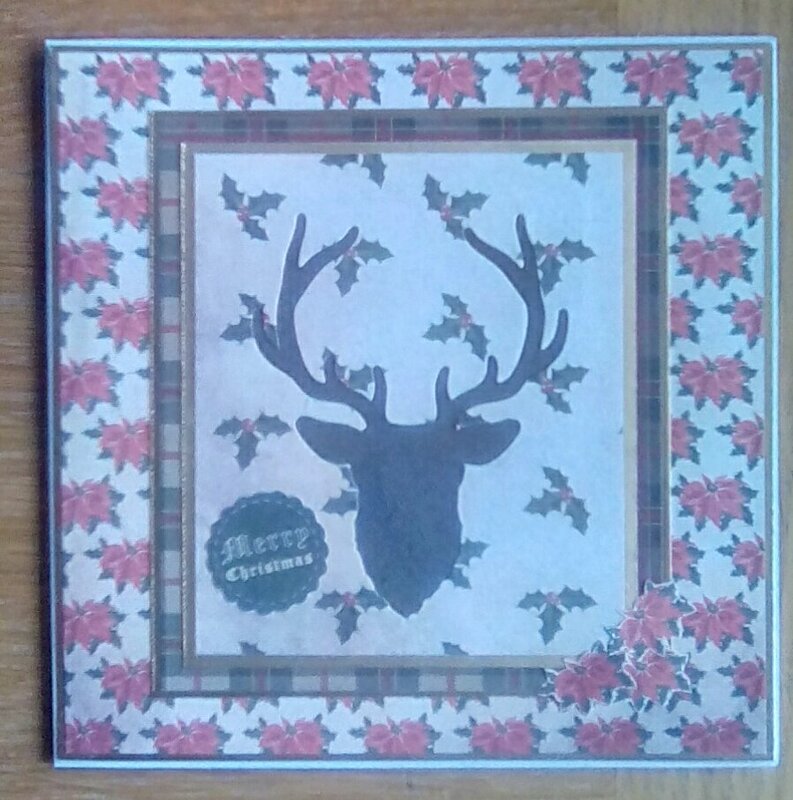 I stroked, shuffled pages to compare and contrast patterns, hummed Christmas carols and sipped tea. I picked up the dies and put them down. I went to the loo. I put the washing out… Procrastination won. 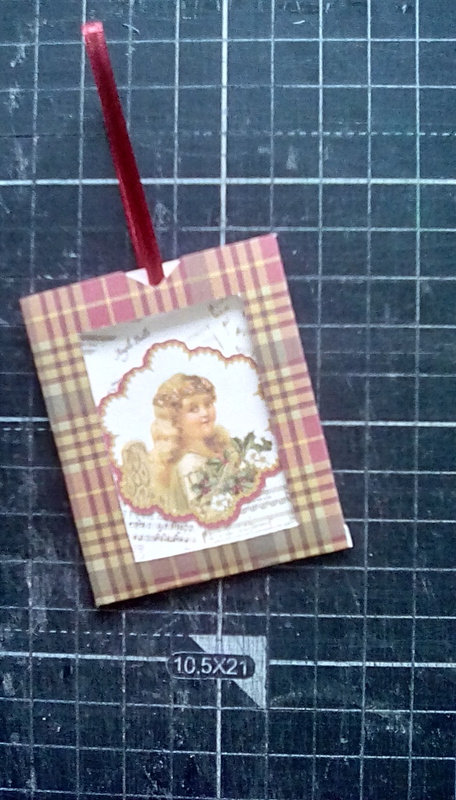 Then, when sorting through a pile of stamped images and toppers I’ve got ready for when I want a quick make, I found a tag a friend had sent me. 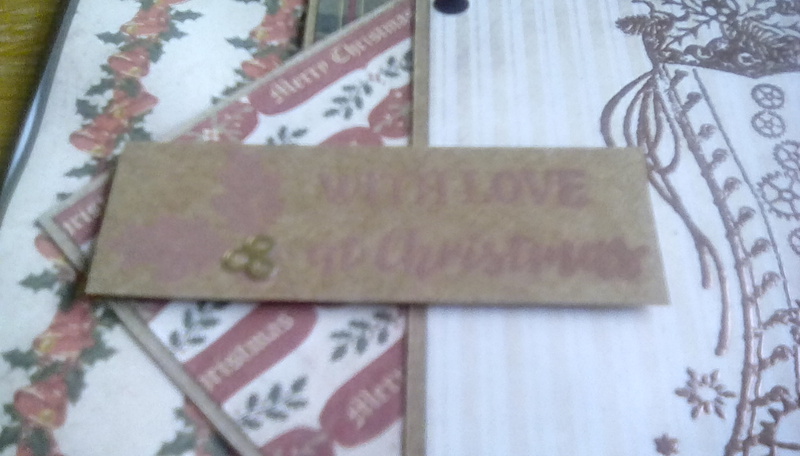 It was a clever interactive tag, with a little pocket which holds a smaller piece of card, both attached by a ribbon. Oooh. I can do this! 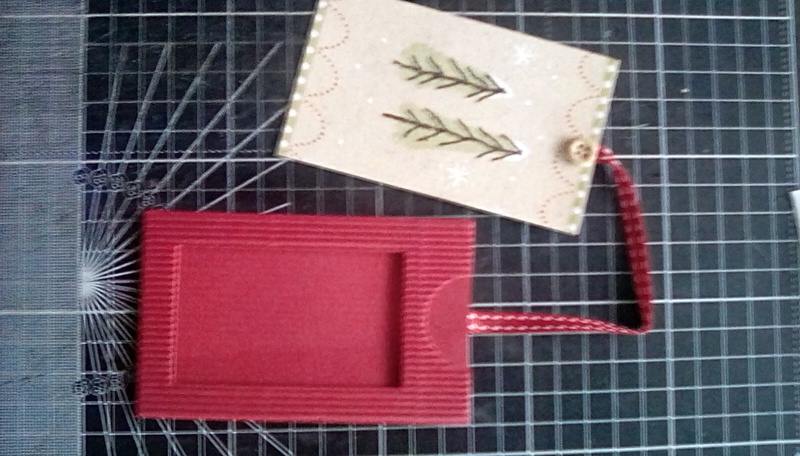 I created a pocket tag of my own. 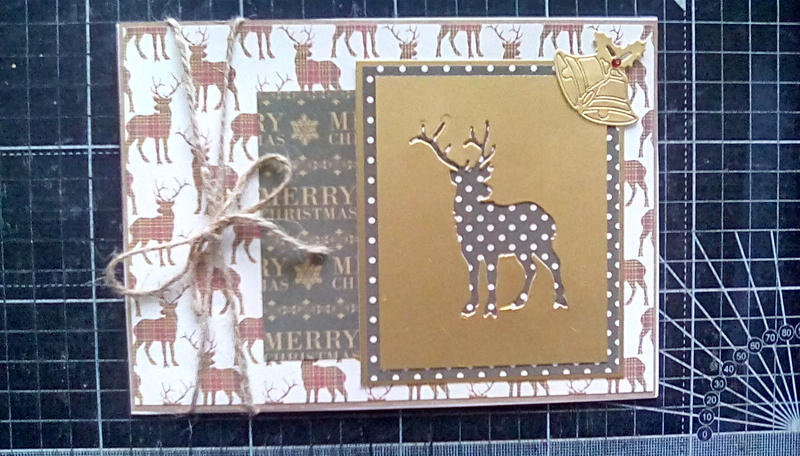 I used the new tartan snowflake paper for the pocket, a piece of Kanban matt gold card for the insert and twine to join the two. 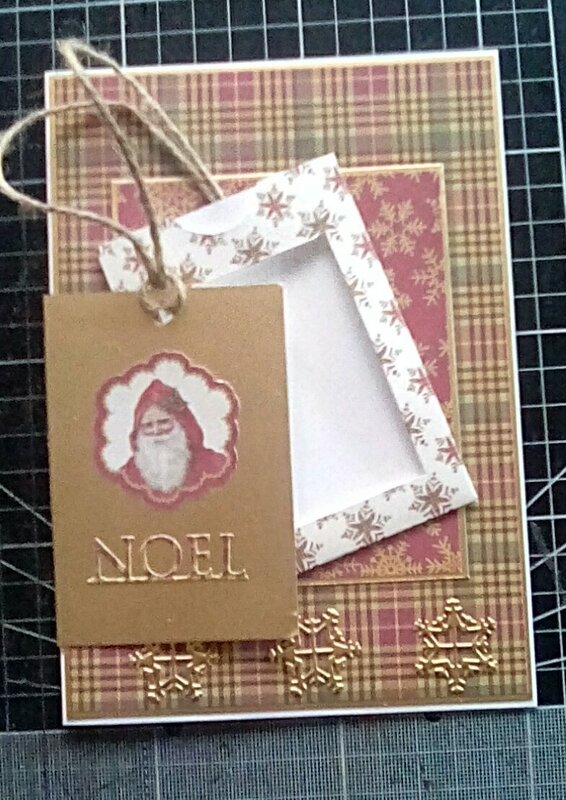 I decorated my tag with an image of Santa cut from one of the other papers using my Scan’n’Cut (so proud that I’ve finally learned how to use the direct cut function!) 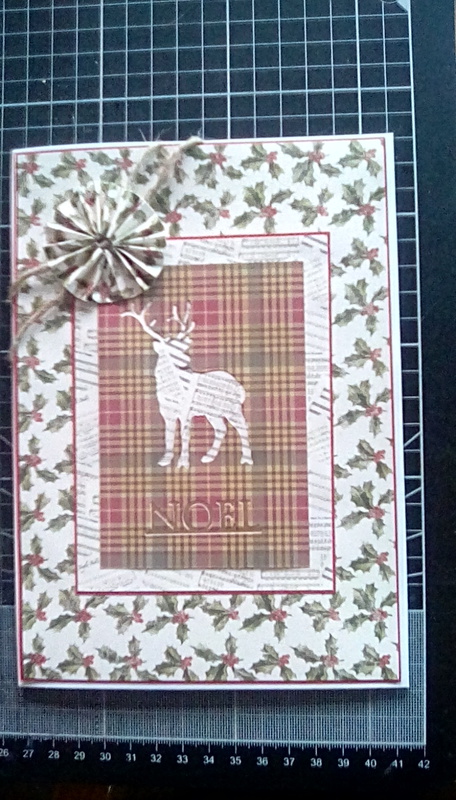 and the Noel sentiment, cut from a piece of the tartan paper. 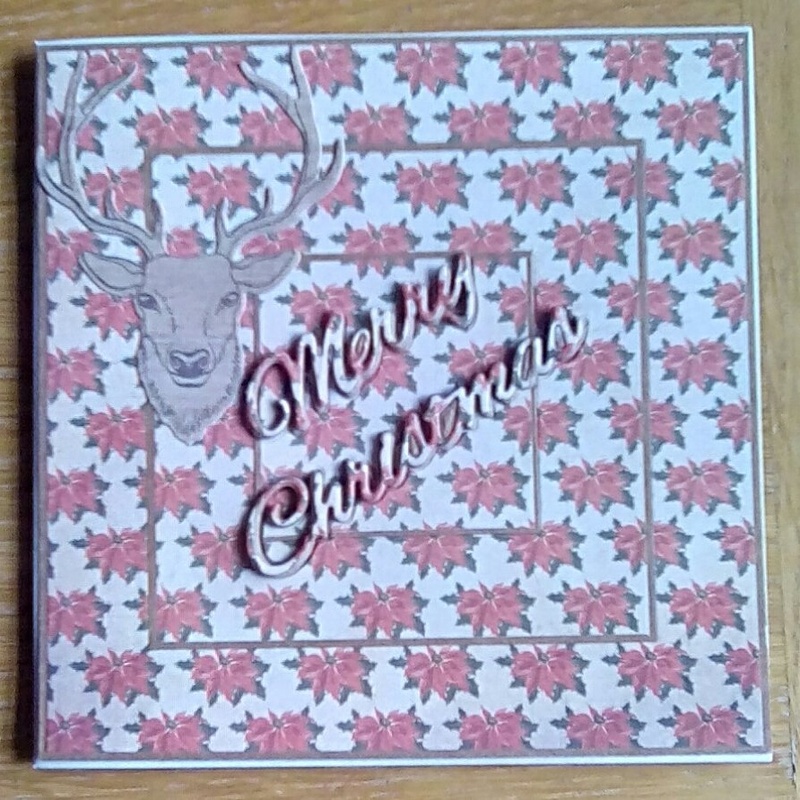 When I had die cut the sentiment, I decided to use the negative as well, and to create a full card I also cut the stag from the same piece. I now had a tag, a stag, and the negatives. Along came inspiration. As you can seen, I’ve been busy. I’ve not touched several of the lovely designs yet. Some are so intricate and beautiful that I don’t want to cut into them, others are ideal for backgrounds and matting and layering and I just haven’t yet used them, but they will get their day. 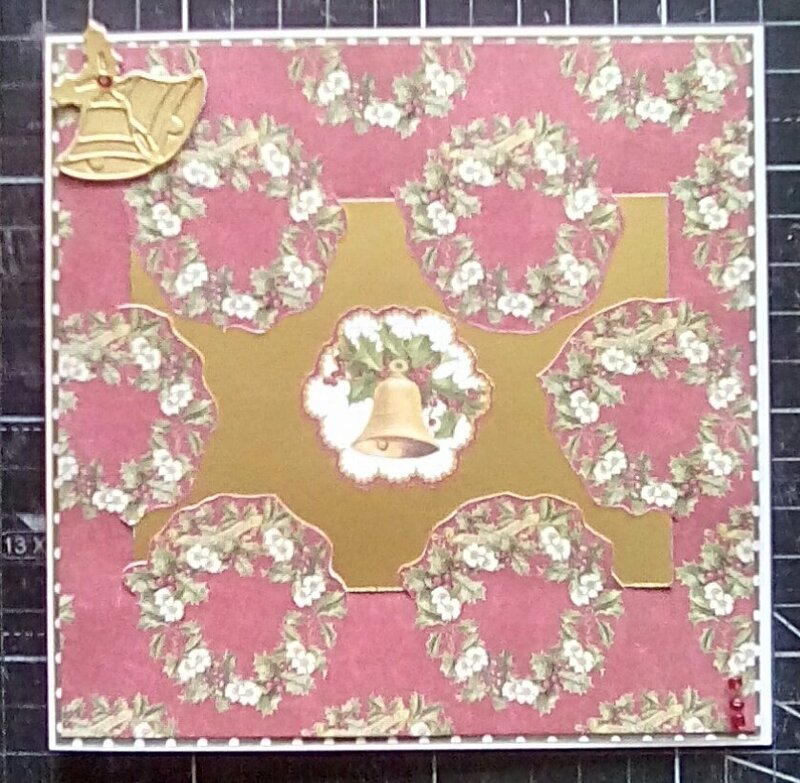 This entry was posted in Uncategorized on October 10, 2017 by Isn't She Crafty. Who doesn’t love a freebie? One of my favourite things about the Create and Craft club is the members’ gifts which are available periodically. I like that there are different things, some which I’d not buy otherwise, some which are just a real treat. 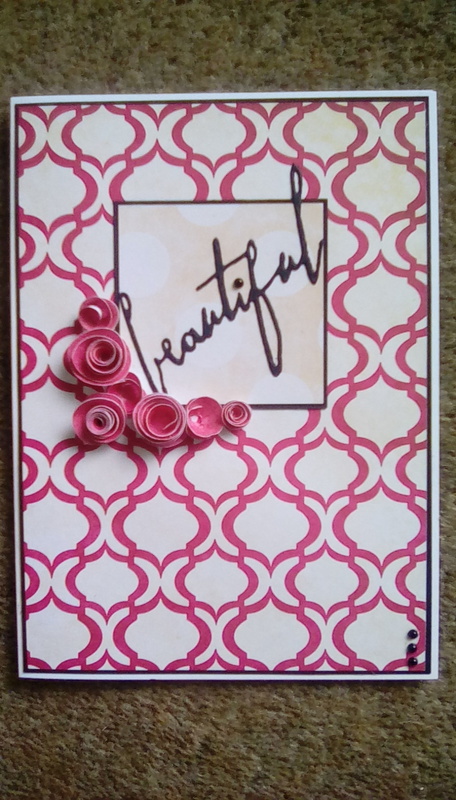 The most recent gift was a gorgeous 8×8 paper pad Raspberry Ripple from Paper Boutique. I have several trees worth of paper, but I just love it. I can spend ages just looking at my favourite collections, especially smelling them (His Lordship finds it strange, but I’ve heard lots of other crafters admit to the same). As soon as I saw the gift, it was in my basket and on its way. My copy of the club magazine arrived a couple of days ago. 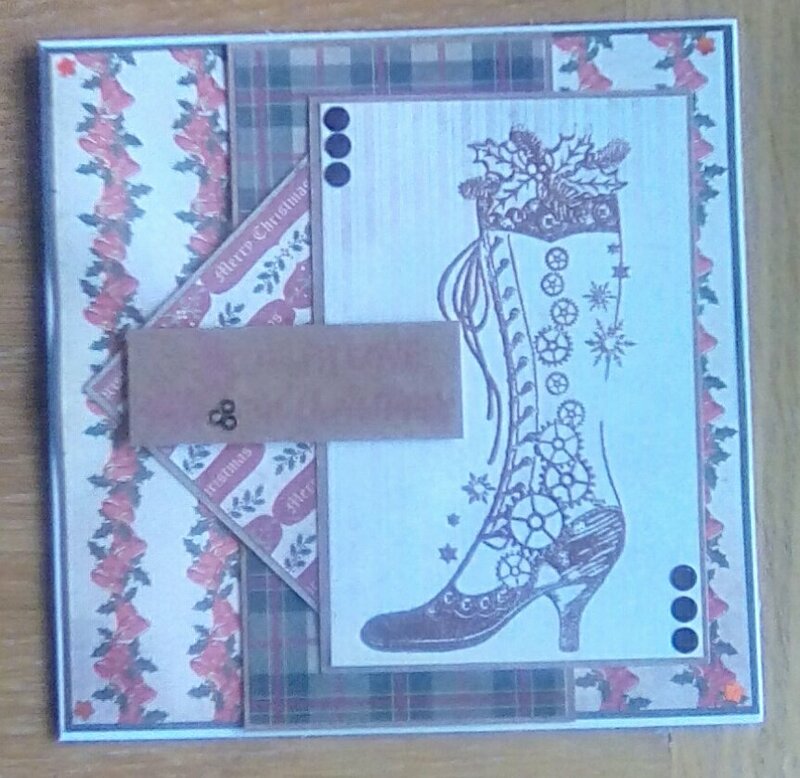 It included inspiration on using the members’ gift as well as information on a discount on further Raspberry Ripple items. 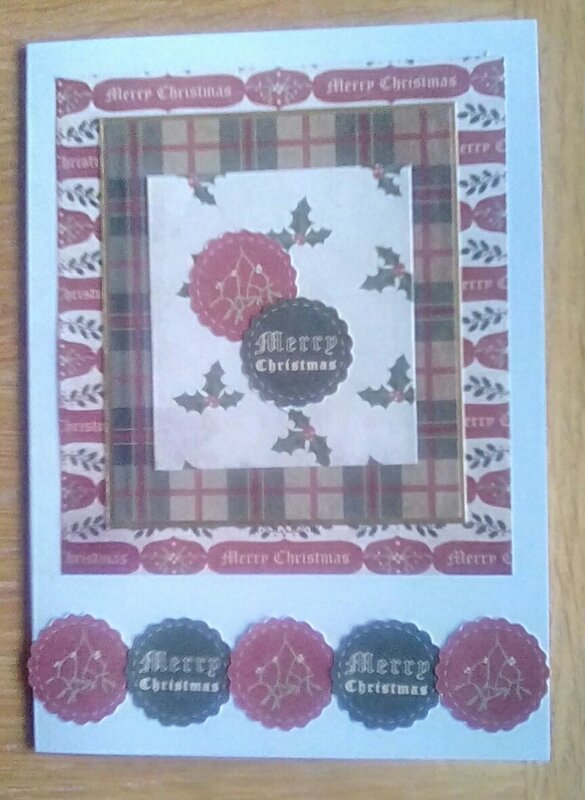 I decided not to buy the toppers, I have a growing collection of dies and stamps, and my underused Scan’n’Cut, so thought I’d be able to complement the papers with my existing stash. 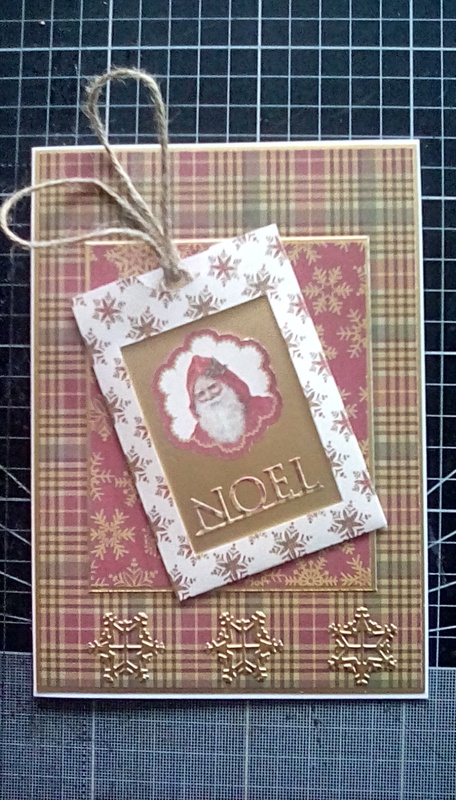 This entry was posted in Uncategorized on July 25, 2017 by Isn't She Crafty. My father in law is turning 70 this week. 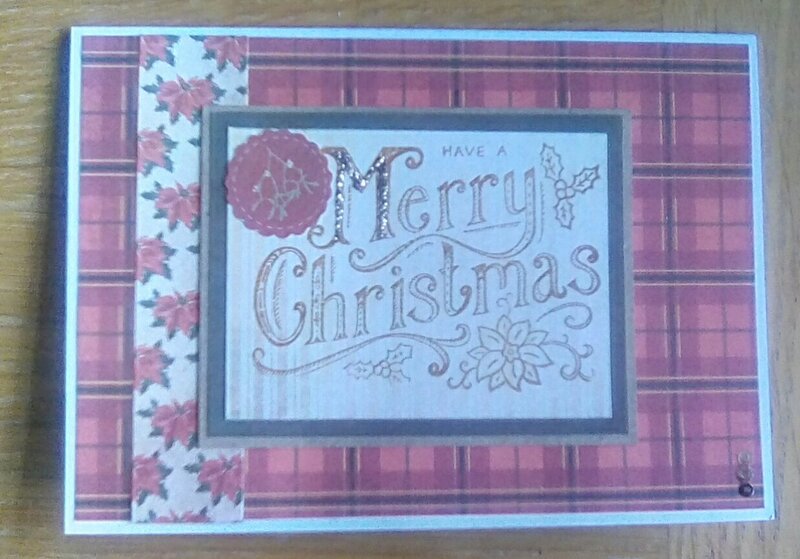 I know his interests, I know the colours he likes, I have suitable stamps, dies and paper kits, but I have two blank cards (making one from my mum to him, too). 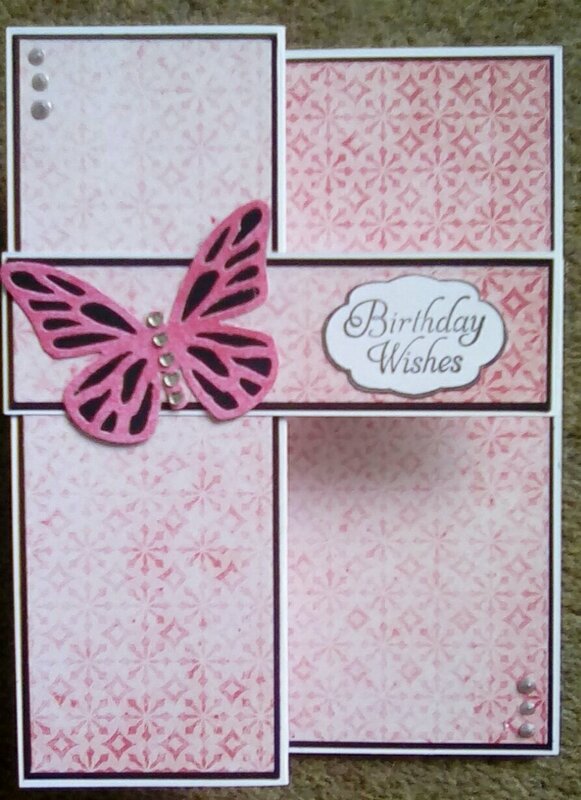 Usually I love making cards, I think of it as a form of therapy for myself, it helps me relax and focus on thge here and now. 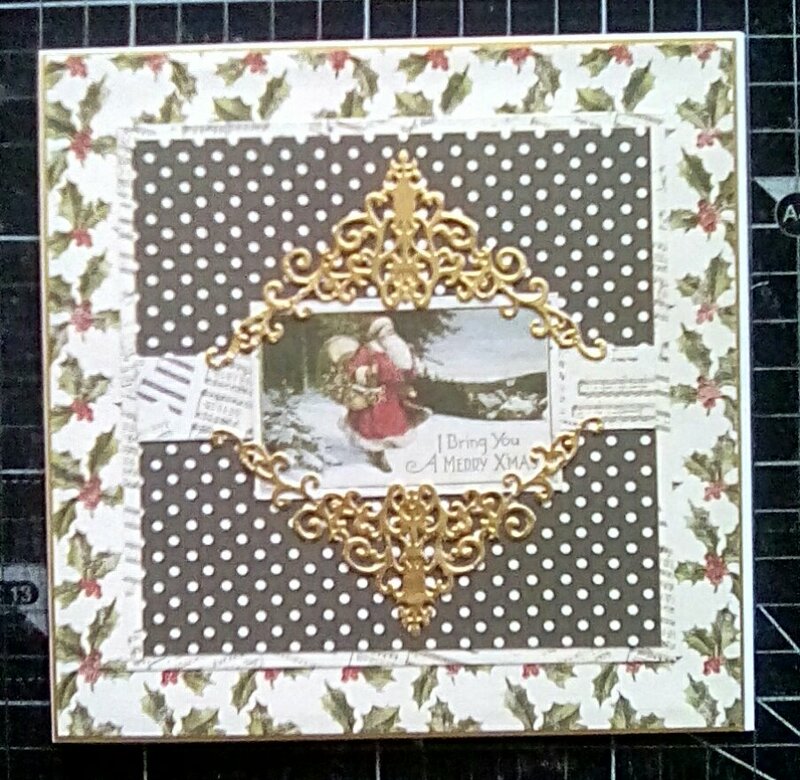 I’ve been making other cards this week, a couple of wedding ones are drying as I type. But those two cards still remain blank. Men are harder for me, but I generally enjoy the challenge, and ewhen I get stuck turn to Pinterest for inspiration. I’ve looked, but those two cards still remain blank. I think I might be trying too hard. You’re only 70 once, they’re memory box cards, seen by lots of people. 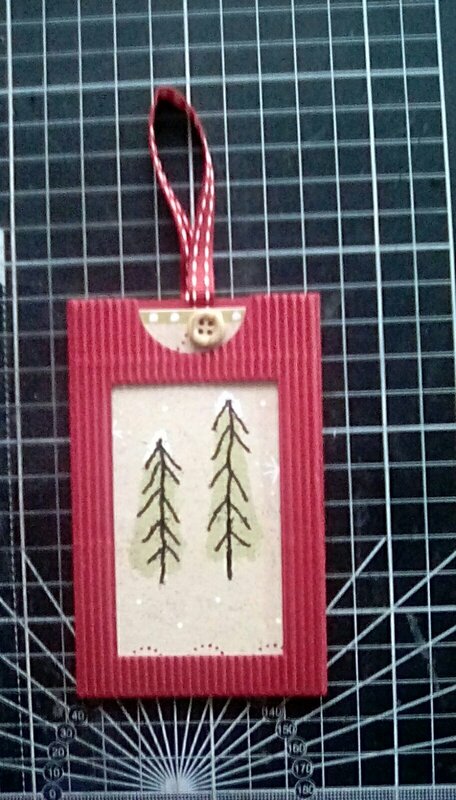 I’m a crafter, my mother in law tells people, so my creations may be noticed. What if they’re not good enough? Or if he doesn’t like them? Those two cards still remain blank. My logical brain is reminding me that I’ve made hundreds of cards in the past and they’re perfectly adequate, that any card is better than none, that he’s likely to not actually pay that much attention to each individual card when he’s getting a lot… But those two cards still remain blank. This entry was posted in Uncategorized on June 21, 2017 by Isn't She Crafty. I just wanted to apologise to my lovely blogging friends and followers. I’ll be absent and/or irregular for a while. After the IUI was a success both of us were absolutely made up. I had a scan last week and Dot was small, no discernible heartbeat. They repeated scan this Tuesday and I am so so sad to say I have lost my Little Dot. This entry was posted in Uncategorized on March 30, 2017 by Isn't She Crafty. Thank you so much to Blinking Cat​ for nominating me for the Blogger Recognition Award! Such a lovely surprise. I really like Blinking Cat’s blog, she posts mainly about her crochet projects and I find they really make me want to get out my hook and yarn. I started my blog in April 2016. 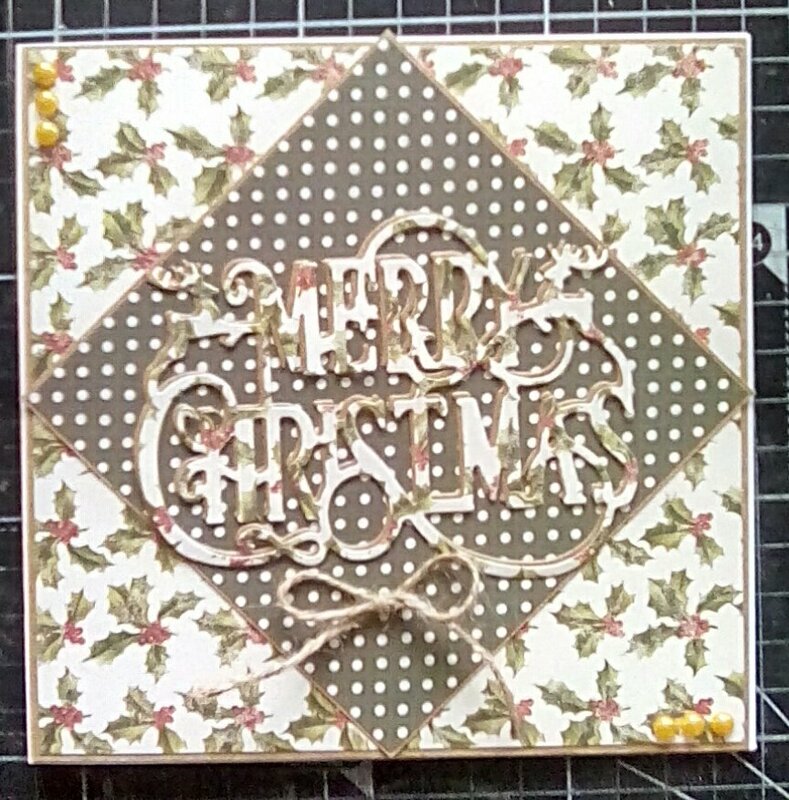 I don’t have any crafty friends, and I started blogging to try to meet other crafters, get ideas and inspiration from them (which I do so much from the blogs I follow) and to get a but of feedback on my own projects and hopefully give an occasional bit of inspiration myself. I’m really not techy and I wanted to prove to myself that I could do this on my own, so didn’t even tell His Lordship about my blog until I’d had it 6 months. I get so much pleasure from seeing other people’s creations and thoughts, and from reading the comments people leave. Read other peoples blogs. It’s a great way of finding out more about and expanding your own interests. Also, you’re much more likely to get visitors if you’re an active member of the community. Write about what you love. It’s really obvious when people are passionate about their content and people are much more likely to come back if your blog is of interest to them and shows your personality. 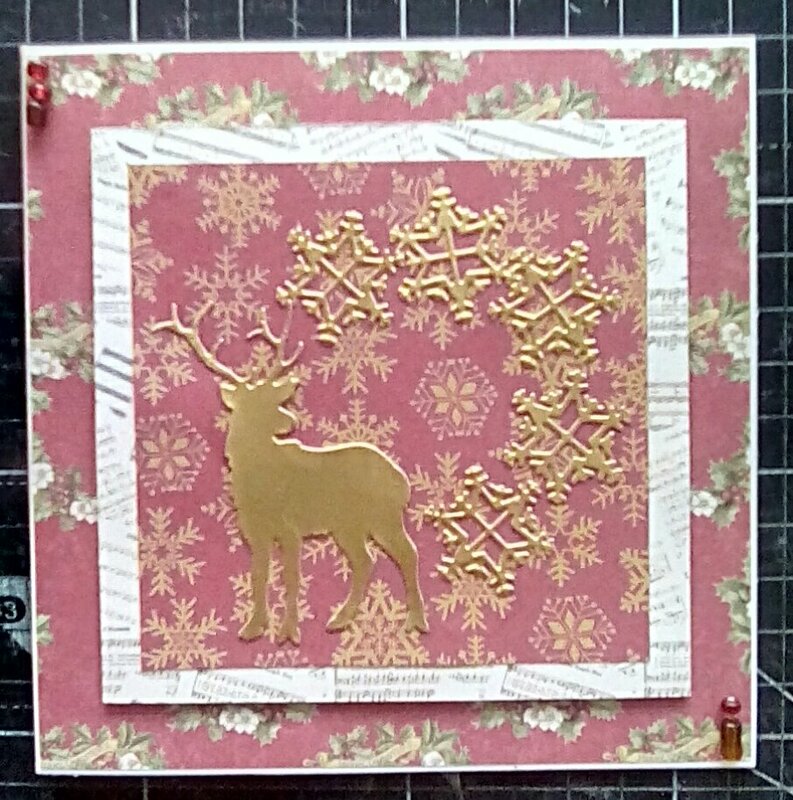 This entry was posted in Uncategorized on February 24, 2017 by Isn't She Crafty.